Fire crews rescued a baby boy from rubble after an earthquake struck the tourist-packed Italian island of Ischia, off the coast of Naples, on Monday night. A video released by the fire brigade shows a baby being pulled from the debris in the arms of a fireman in the early hours of Tuesday morning. The brigade’s Twitter account described the rescue in the town of Casamicciola as a ‘miracle’. Fire crews also found baby Pasquale’s older brothers stuck under a bed nearby. 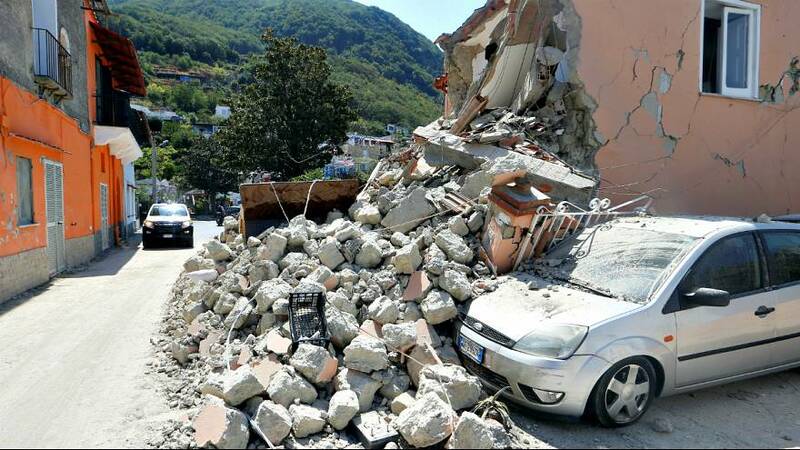 The quake of at least magnitude 4.0 killed two people and injured dozens.